Domenico Tedesco explained why his Schalke side used midfielder Weston McKennie and full back Hamza Mendyl as their main two strikers during the Revierderby on Saturday, following Guido Burgstaller's first half injury. The Royal Blues went into their match against Borussia Dortmund with just one recognised striker available, and their lack of attacking threat showed throughout the opening 45 minutes as they went into the break one goal behind. Daniel Caligiuri was able to level the scoreline from the penalty spot, but Jadon Sancho secured all three points for Borussia Dortmund with a smart finish late in the match. "Well done to Dortmund. We started the game well enough and had some control - but then we were suddenly behind," Tedesco said, quoted by the club's official website. "We should have defended both of their goals much better. "We lost our only centre-forward in the 33rd minute and brought on Hamza Mendyl to inject some pace into our game. Yehven Konoplyanka is a winger who would rather play there, but we desperately needed two centre-forwards today. Hamza is our quickest player and it was important to have someone up front who is direct. "We fought back well in the second half and got our well-deserved equaliser, before having ten good minutes afterwards. Again, their second goal was too easy. "Afterwards, we struggled to get back in the game and didn’t keep hold of the ball well enough. Both their goals came at bad times for us. We now need to learn from our mistakes and learn to win games for ourselves again." Schalke will now prepare for their final group stage match in the Champions League against Lokomotiv Moscow before returning to Bundesliga action against FC Augsburg. 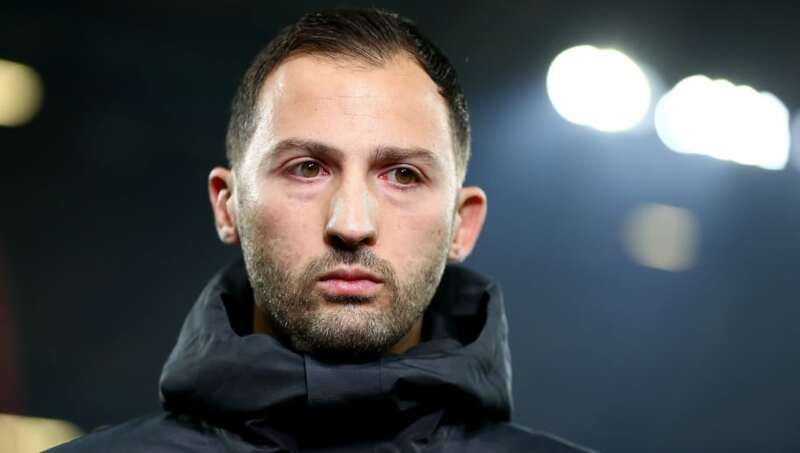 Tedesco knows it's vital to get three points on the board in Bavaria next week, as well as in Schalke's final two matches against VfB Stuttgart and VfL Wolfsburg before the winter break.